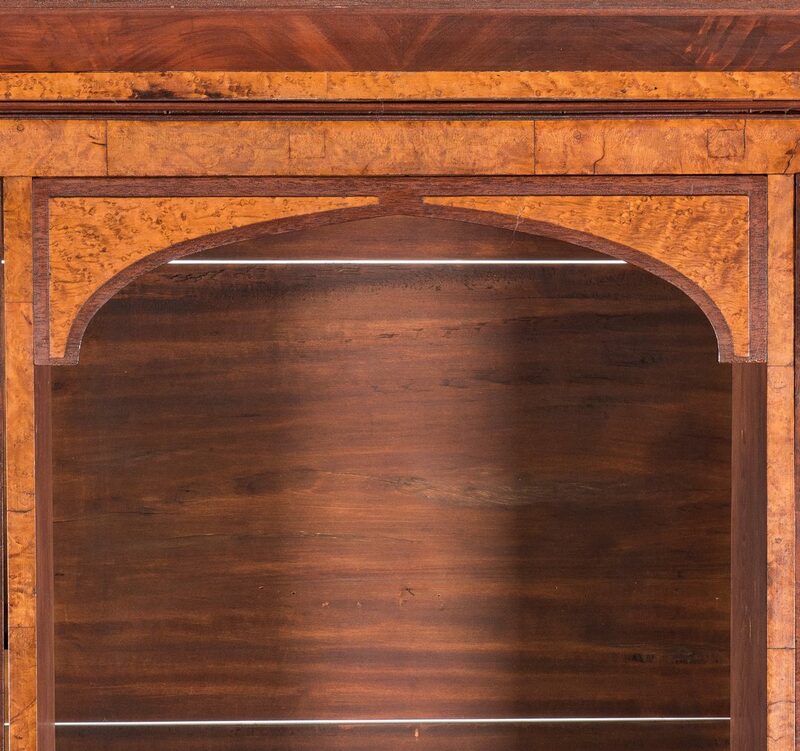 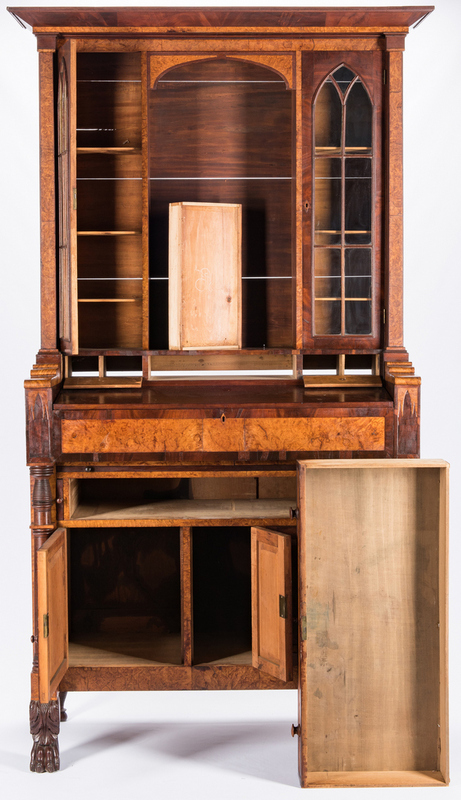 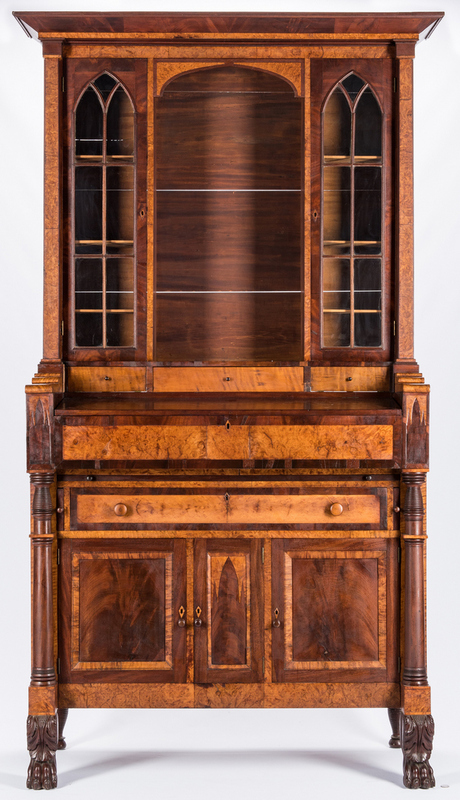 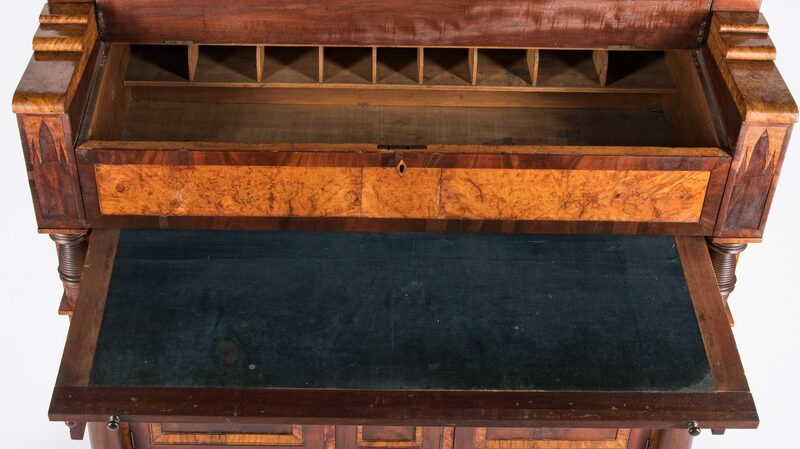 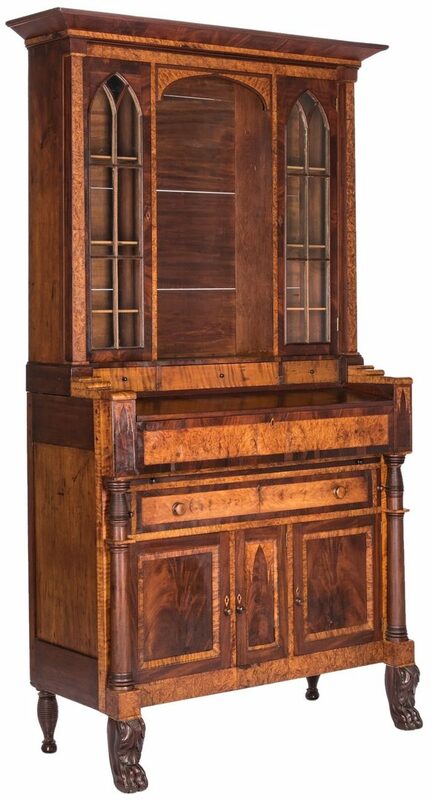 Secretary bookcase, attributed to Pennsylvania, comprised of figured and curly maple, mahogany, mahogany veneer primary woods; white pine and poplar secondary. 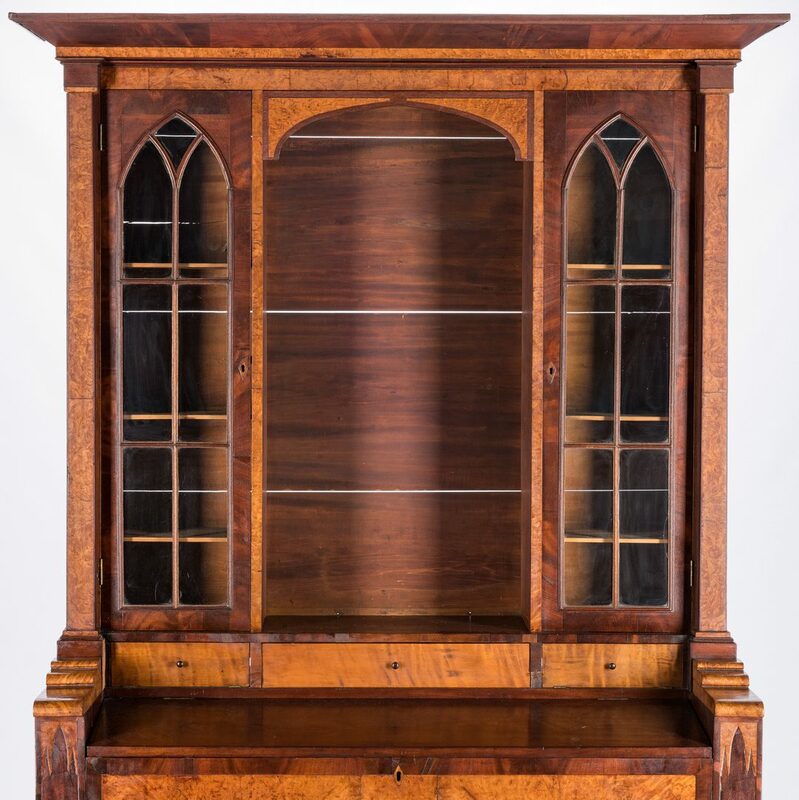 Transitional Gothic Classical two-piece form, the top with canted, overhanging cornice above two paneled glass doors with Gothic arched mullions and an arched open center section, over a long center dovetailed drawer flanked by two pull down doors with fitted interiors. 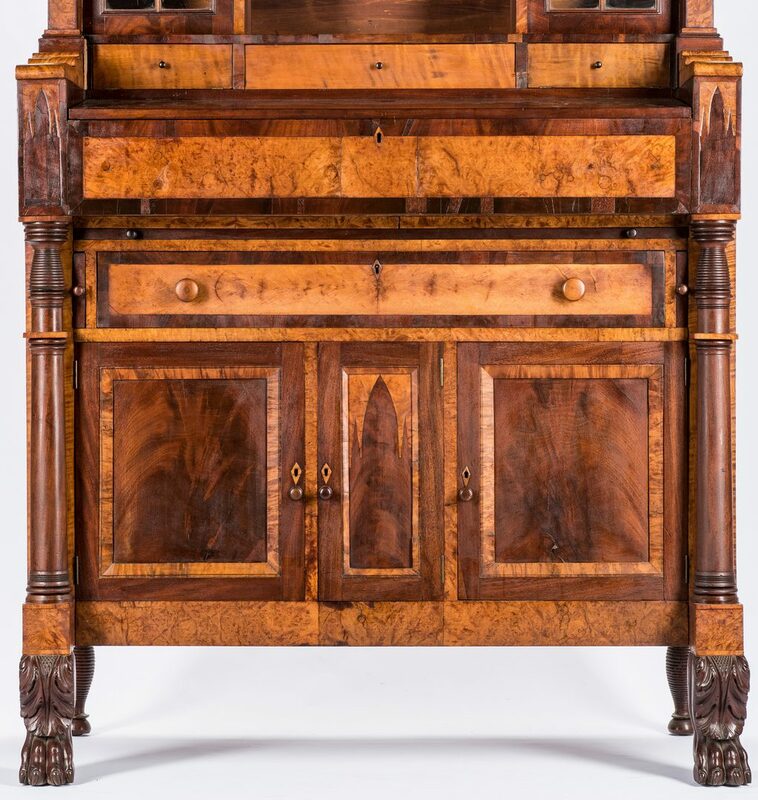 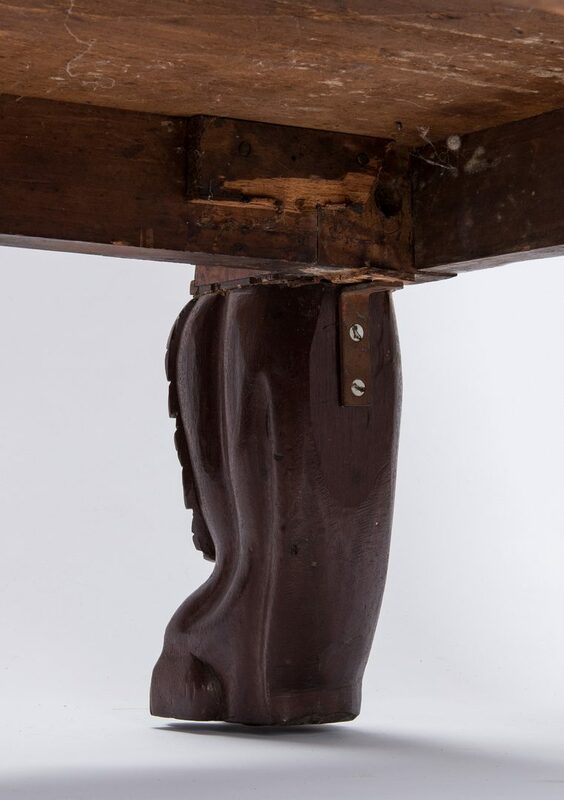 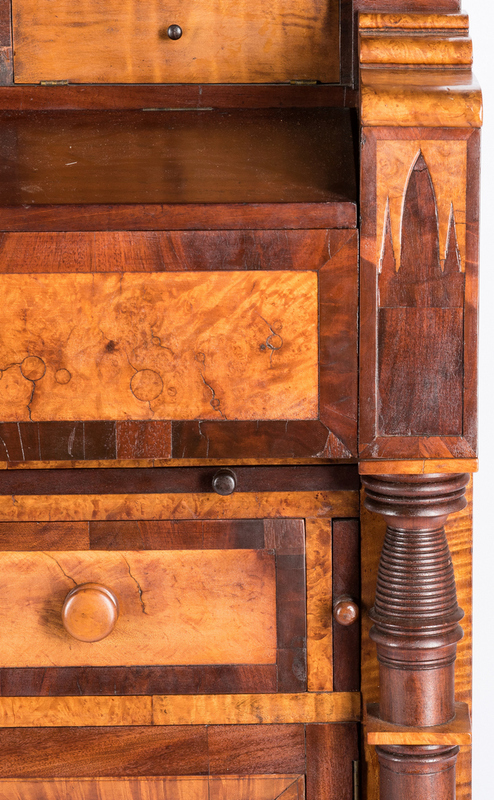 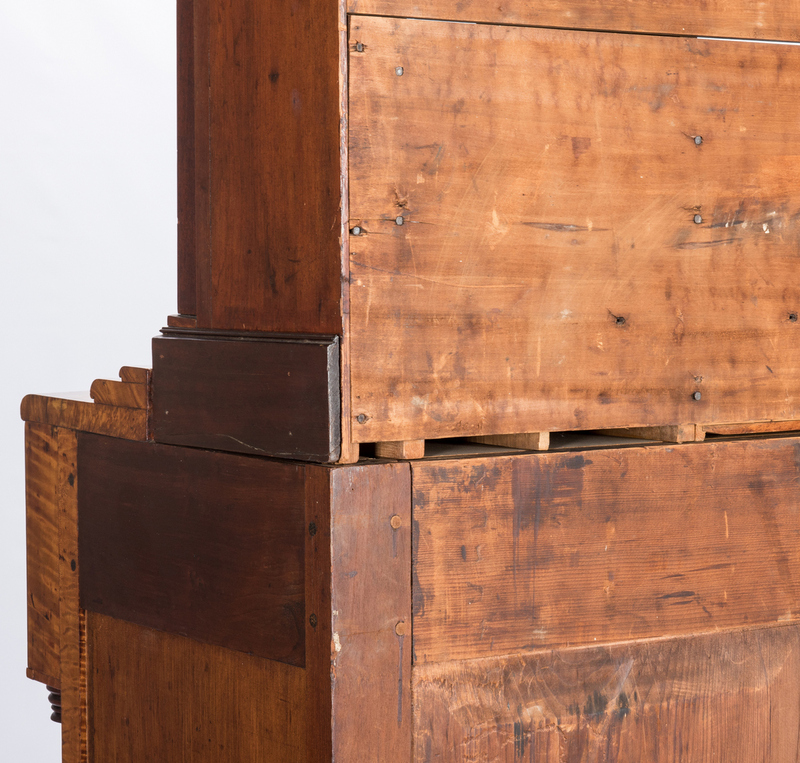 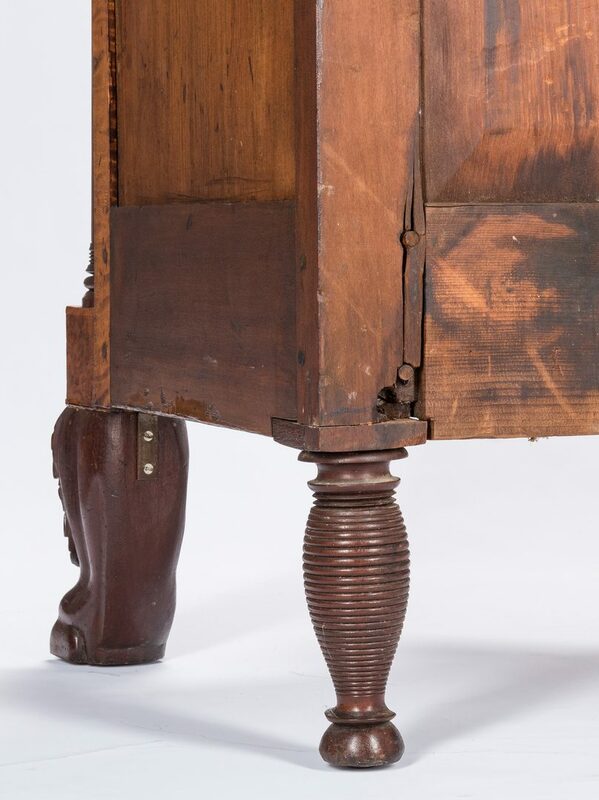 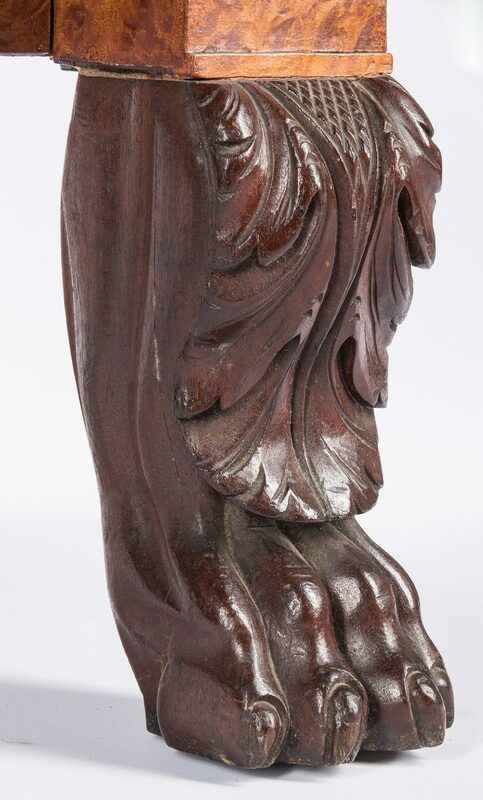 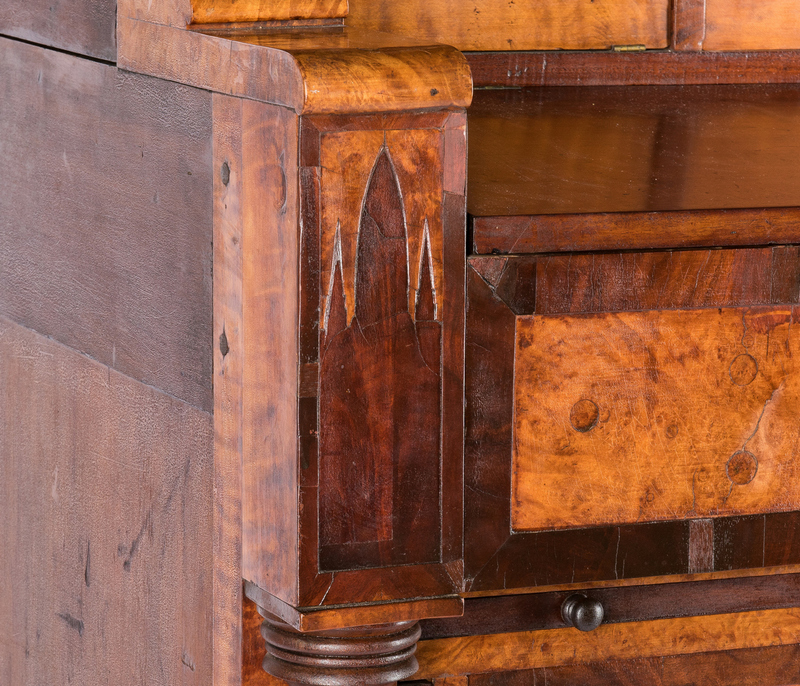 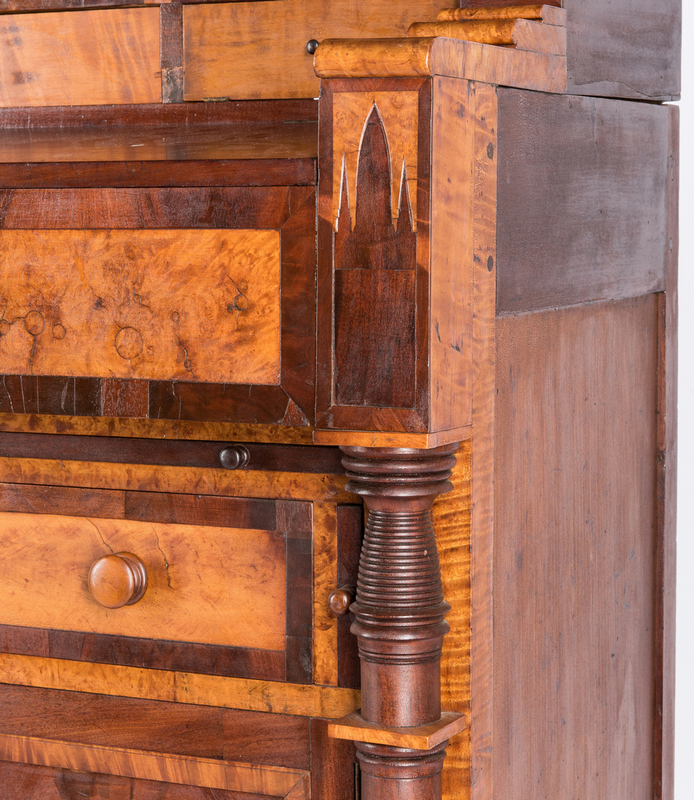 Base with hinged top opening to a well with 9 cubby holes; fall front writing surface with baize covering, supported on slide-out lopers; one long dovetailed drawer over three doors, ring and column turned pilasters, front carved paw form feet and turned rear feet. 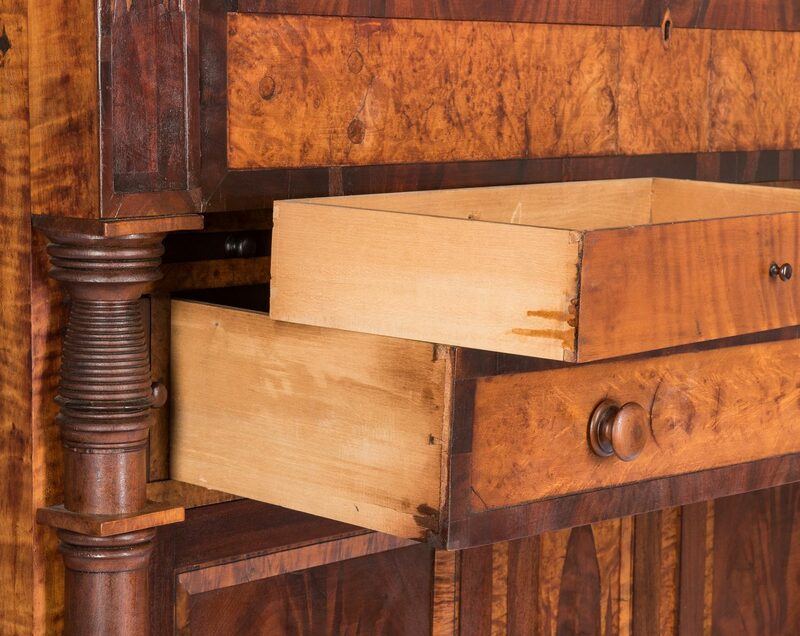 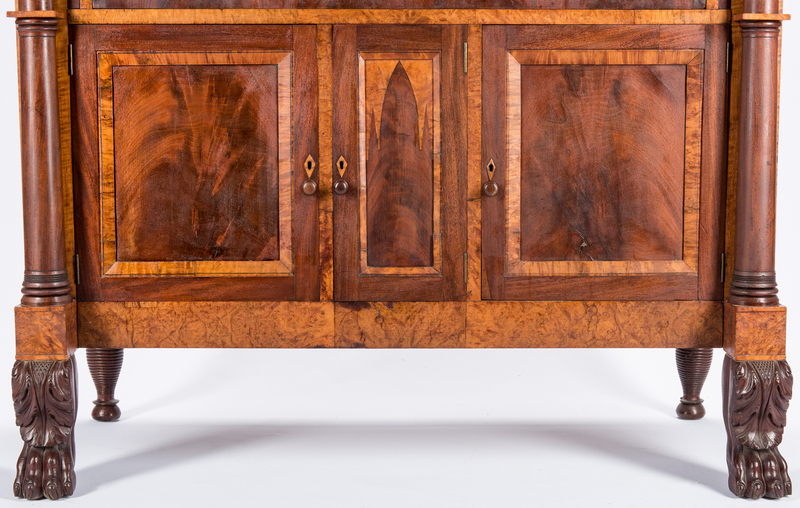 Stiles, cornice, skirt and drawer fronts all ornamented with contrasting figured wood veneers. 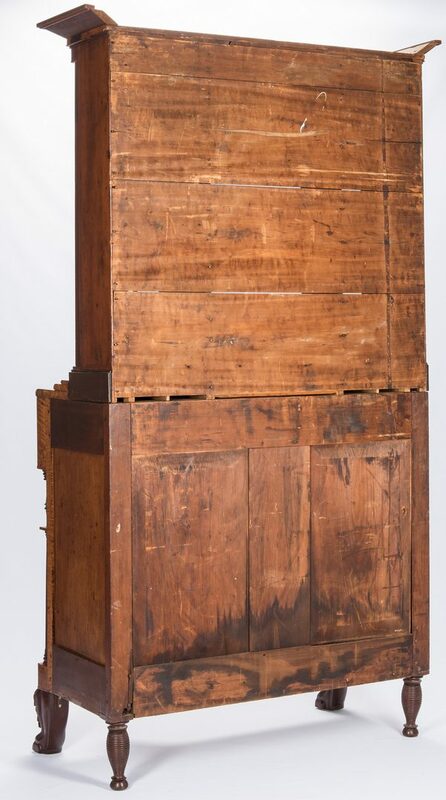 7' 5" H x 45 1/2" W x 20 1/4" D. Second quarter 19th century. 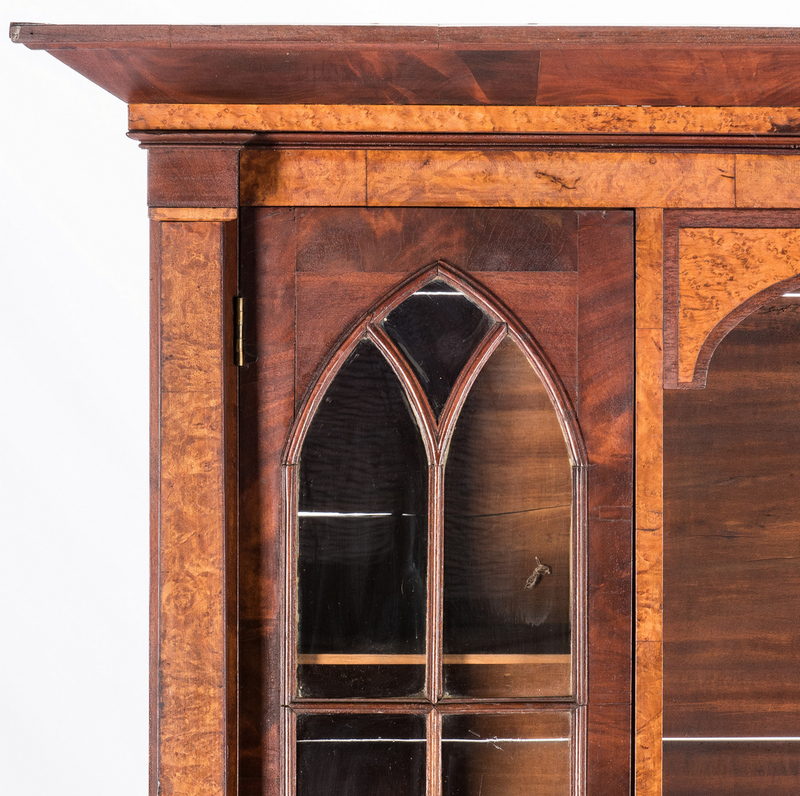 CONDITION: Crack to glass lower right upper door. 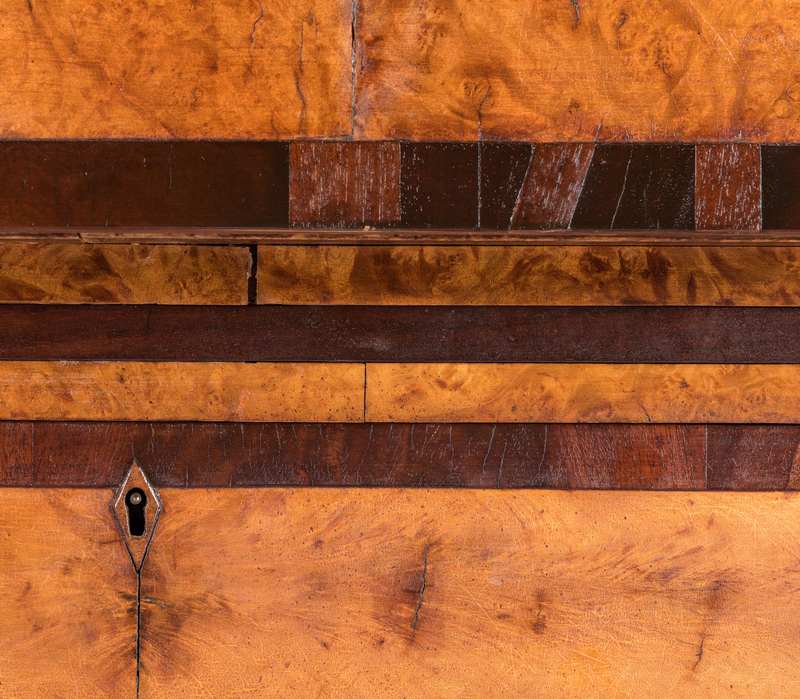 Some scattered cracks and slight losses to veneer. 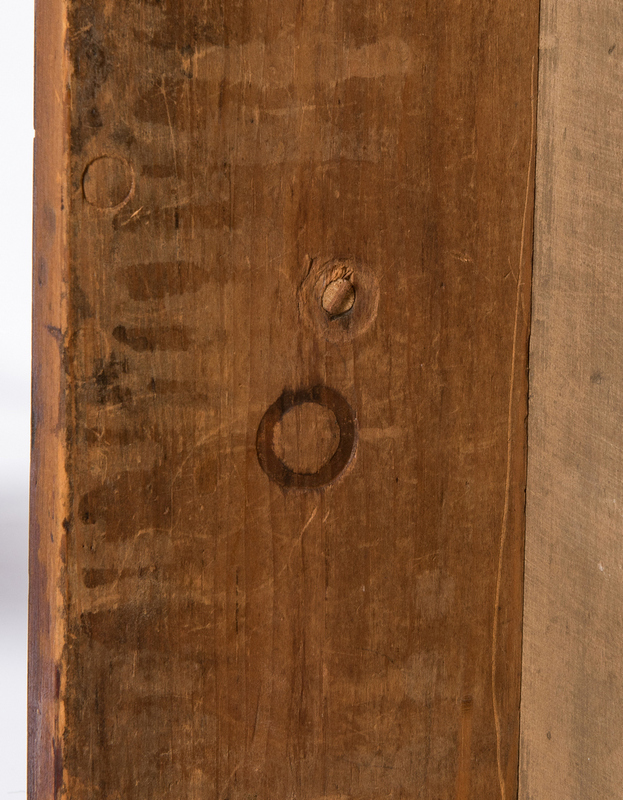 Replaced veneer lower left top, overall very good condition.